Find a penny, pick it up, all the day, you'll have good luck. Find a penny, leave it there, all the day, you'll have despair. Or ... is that what they want us to believe? Ross Bonura, a data-retrieval specialist from Boston, discovers an animistic darkness resting within random objects that drives their holders to do evil deeds. Pushed to the edge of sanity and now sensitized to their language, he roams the dark streets of his city, trying to find these objects and contain their power. 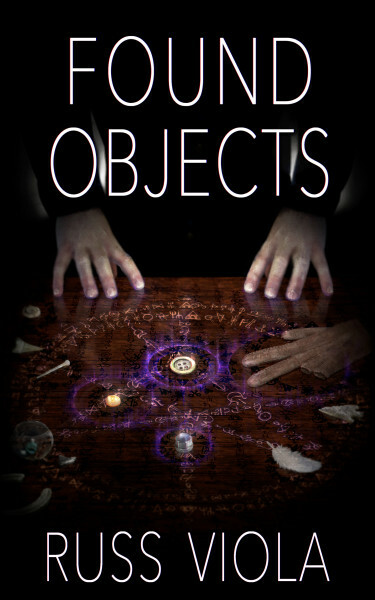 These objects manipulate people, influence their shadows, and protect their collective secret. Ross is not alone, others are seeking the objects for their own purposes. Will they be a help or a hindrance to his self-appointed quest? Who can he trust? This dark horror fantasy will leave you questioning the innocence of any mundane object that crosses your path.